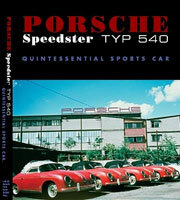 An essential Speedster book presenting the story of the Typ 540 from its inception as the America Roadster, through its defining years as the Speedster, and follows with a look at its successor, the Convertible D. Six experts cover their area of particular expertise. 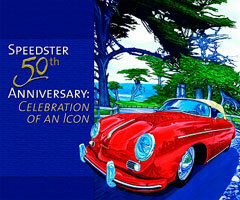 The 50th Anniversary Event in June 2004 was the ultimate gathering of Speedsters, and this book which documents the event is one of the most sought after Speedster books. 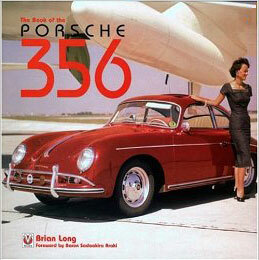 Every Porschephile will be captivated by this wonderful collection of material. Full of carefully researched historic detail and containing hundreds of previously unpublished photographs. 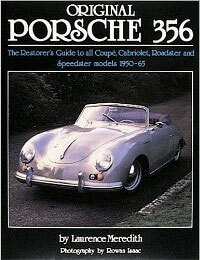 Comprehensively covers the evolution of the 356 Speedster and the later 911 Speedsters. 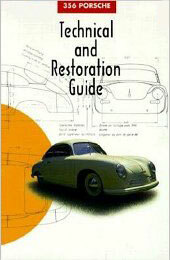 This book is a compilation of thechnical and restoration articles, columns and tips that originally appeared in the 356 Registry magazine during its first 20 years of publications. Information has been carefully reviewed by a panel of the Registry editors and experts to ensure that the information is correct and current. 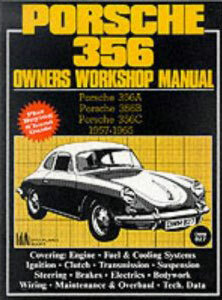 Tells the story of the beginnings and development of the 356 range - explains the company policy of continuous development and the racing and rallying cars that sprang from it. 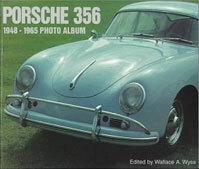 A pictorial review of the cars that built the Porsche legend, from the early Gmund coupes to the 356As, Bs and Cs - Coupes Roadsters, Cabriolets and Speedsters. 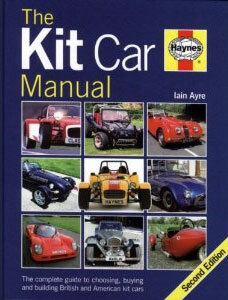 This do-it-yourself workshop manual has been specially written for the owner who wishes to maintain his vehicle and carry out the bulk of his own servicing and repairs. Step-by-step instructions and many illustrations are given of most dismantling, overhauling & assembling operations. 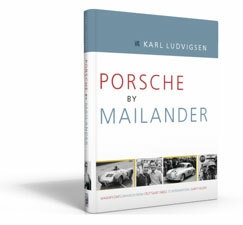 Porche by Mailander - This book by Porsche expert Karl Ludvigsen features more than 500 evocative and previoulsly unpublished photos by Rodolfo Mailander. 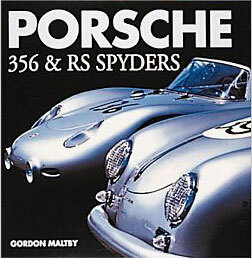 It covers the period 1950 to 1955 and is particular interest to 550 Spyder enthusiasts, but a detailed record of Porsche's development over this period. 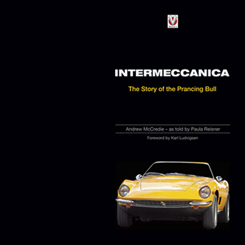 Intermeccanica - The Story of the Prancing Bull - the story of Frank Reisner, who founded one of the most famous small production sports car building companies in the world, and now produce some of the finest Speedster replicas at their Vancouver factory. Covers coupe, cabriolet, roadster & Speedster. 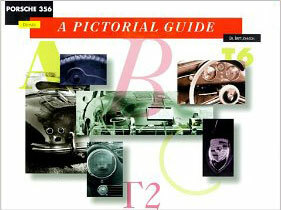 Beautifully photgraphed and comprehensively researched. Helpful charts explaining specific differences between years and models. Good coverage of the Speedster variants and serial no information. Superb photos by Rowan Isaac. 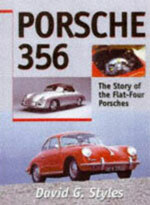 Excellent historical information on 356 beginnings in Gmund and Zuffenhausen. 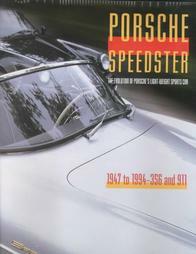 Good coverage of the different Speedsters, including the Carreras, and the Rennsport Spyders. Useful serial number and engine variant info. Year-by-year model changes, both mechanical and cosmetic. Useful chassis number and colour information charts. 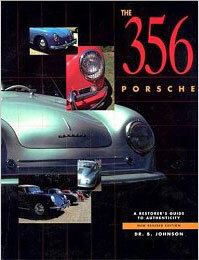 Recognized by Porsche enthusiasts, concours judges, even the Porsche factory as a definitive guide to Porsche authenticity. Gives a detailed look at the year-to-year changes in body, chassis, trim, and interior components. Virtually every part is described and photographed allowing owner and restorer to determine originality. The story of the rise of the Porsche company whose name has become synonymous with high performance and stylish sports cars, concentrating on the history of the flat-four engined Porsches, complete with development history and full specifications.